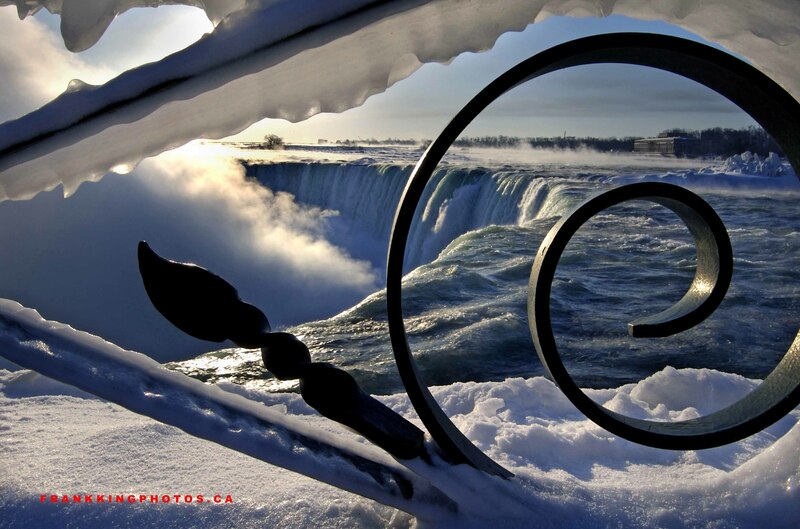 It was a numbingly cold sunrise at this famous Canadian tourist attraction. But that cold, combined with being there at sunrise, meant I could part wherever I wanted (and parking is usually a premium there) and work in happy solitude. I found this (hopefully) interesting point of view after making all the more standard pictures. Nikon D50, tripod.